How Far is Pearl Residency? Engineers Pearl Residency is one of the most popular residential developments in the neighborhood of Chennai. 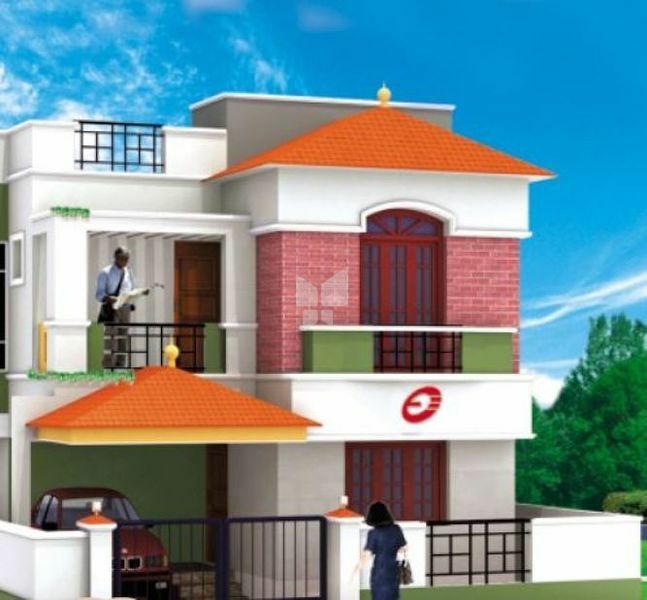 It offers well designed 2BHK and 3BHK villas. The project is designed with all modern amenities and basic facilities to cater the needs of the residents. 24X7 security service is also available. STRUCTURE : the structure to be built as RCC FRAMED STRUCTURE, with 9”tk BRICK WORK for outer walls, and 41/2”tk BRICKWORK for internal walls, the basement height shall be 4’0”. DOORS : teak wood frame with teak wood panel doors for the main entrance. For all internal doors with 30mm thick molded skin doors. WINDOWS : GLAZED windows are with I Quality Country Wood Frame of size 4” x 21/2”, (SAL WOOD or EQUIVALENT) with 3” x 11/2” shutter frame for normal window, 4” x 11/2” for French windows, 5mm pin headed glass, necessary. Iron oxidised hinges, aluminium anodised Hookes, 3” tower bolts, hinges, etc. Grills to be made with MS Flat or square roads as per architect design with 1.75 hg/Sqft, embeddable inside the window frame. FLOORING : flooring with 24” x 24” vitrified tiles of ‘JOHNSON’ or equivalent make, according to bulk availability and Architect choice to blend with the Villa design for the entire Project. For Steps, 19mm tk granite pre polished. KITCHEN : kitchen platform to be made with 19mm granite top with edge polished and 4” tk granite border to the slab edge. Special glazed wall tiling for wall upto 4’0”ht. Stainless steel Sink, with Swan neck tap, single bowl. R.C.C loft and cupboard without wood covering. Provision of electrical points for aquaguard, mixie, table top, wet grinder, fridge. BATHROOMS : Ceramic Wall tiles upto 7’0” ht as per Architects design using Johnson or equivalent make. Anti Skid floor tiles to match with wall tiles as per architects design using Johnson or equivalent make. ‘Cascade’ type Colour european water closet from ‘PARRY WARE’ for master Bed Room and White EWC with slim line water tank for Other Bed Rooms. ‘Jaquar’ or Equivalent make CP Fittings. A Electric points for GEYSER & Exhaust Fan. PAINTING : “aaian’ brand wall masta emulsion for Internal and external walls. Enamel painting for Internal doors, windows and grills. French polishing for the amin door. All painting works are to be carried out as per standard practice of application. ELECTRICAL : Concealed wiring with BIS branded ‘V.Guard’ of equivalent cables using PVC conduits, recessed Switch boards with Modular Switches. Three phase power supply with separate independent meter. Telephone and Cable TV cabling would be done and brought to the junction box in appropriate place. AC provision for all bed rooms. Electrical points for the entire villa strictly as per architects drawing only. any extra points can be done at extra charges. 25 Years experience in construction industry. A structural Engineer by profession. Executed over 10 million sqft of Residential, commercial, Factory buildings, telecommunications structures, offered Design consultancy to Turnkey constructions throughout Tamilnadu. Specialized in apartment complex, gated community with designer villas, pharmaceutical buildings and instrumental in leading ENGINEERS ESTATES (M) PVT LTD. Presently executing projects over 75 crores value.